I know you read my first post, second post, and third post. This time, We will complete Our crawler, We will use scrapy to crawl again the link that we found, and save the data into MySQL. Actually, I really don’t know if my method is right or wrong, but it really works, and I got what I need. Do not hesitate to ask me, just goto about and ask me, if I can help, I will answer your question. I know you read my first post and second post, that’s still not complete, and now I will complete this tuts, this is not the last post in this session about scrapy. Actually, I really don’t know if my method is right or wrong, but it really works, and I got what I need. Do not hesitate to ask me, just goto about and ask me, if I can help, I will answer your question. Bhinneka.com, I know you read my first post, this is the next post how to scrap it. Actually, I really don’t know if my method is right or wrong, but it really works, and I got what I need. 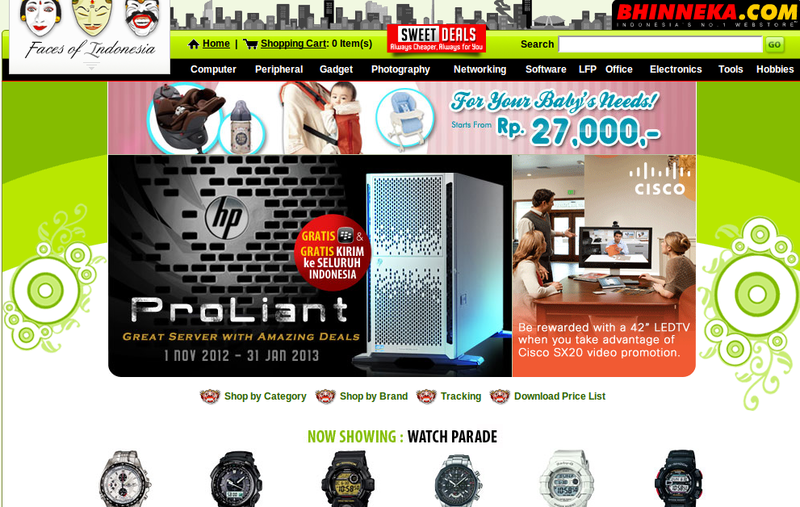 I want to show you how to scrap one of the biggest online store in indonesia, Bhinneka.com. I’m often check to compare price, day by day. Especially, computer peripheral. My Goal from this crawler is to create item comparing site, You can track item price history day by day.